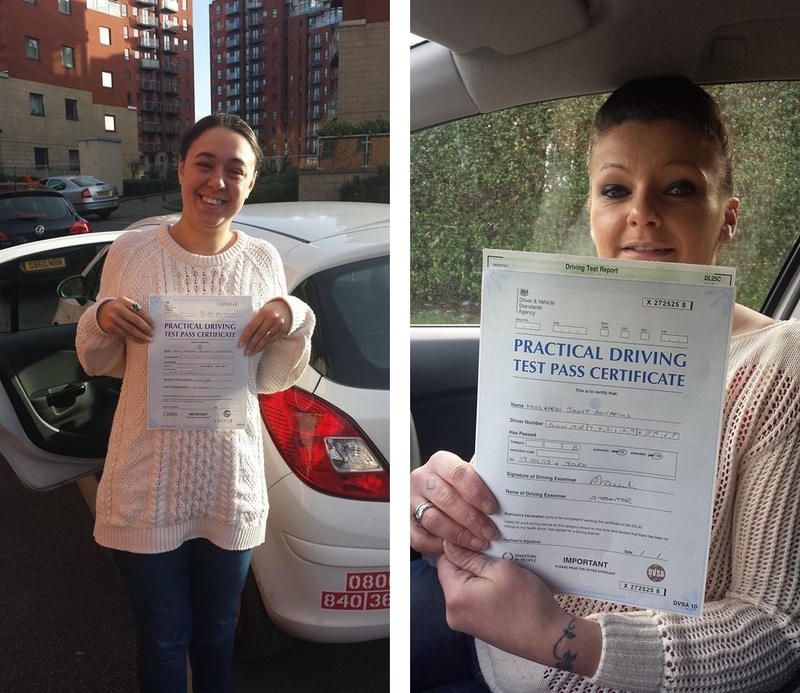 Congratulations to Amanda and Karen who have both passed their driving test this week with Christie Lee Driving. Amanda Rodriguez passed in York on 15.01.15 with 8 minor driving faults. Karen Bonarius passed first time in York on 17.01.15. Despite worries about the snow getting worse Karen had an excellent drive and passed with 7 minor driving faults. Congratulations Karen, really well deserved. Christie lee I would recommend to anybody learning to drive. She’s a fantastic instructor, makes you feel so good about driving and I’m going to miss my lessons. But on the plus side I passed my test first time 🙂 so a big thank you. Couldn’t of done it without her. Well done to both of you. A great way to start the year off! Enjoy driving! 20.12.14 – An early Christmas present for Rhianne! Congratulations to Rhianne Sleight who passed her driving test in York with just 4 minor driving faults! 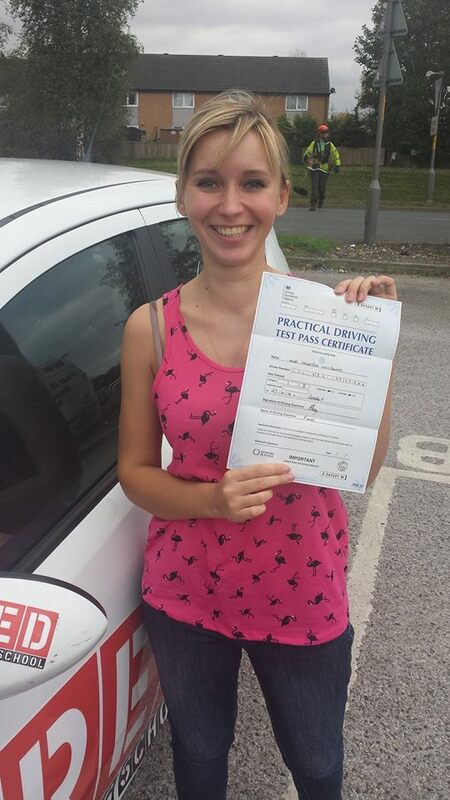 Rhianne had an excellent drive on a busy day in York and really deserved this great pass. Thanks for your kind words Rhianne! 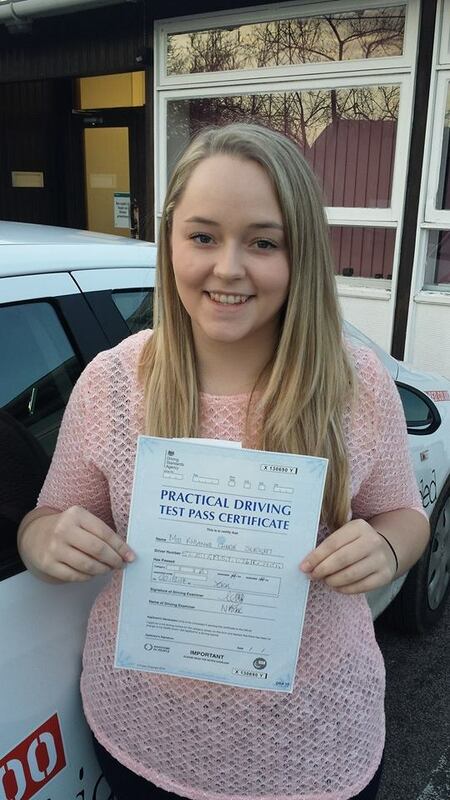 Congratulations to Hollie Crosby who passed her driving test in Pontefract. Hollie had previously failed her driving test two times with another instructor but passed first time after lessons with Christie Lee Driving. We found a way to take the picture despite her not being keen on having her picture taken that early! 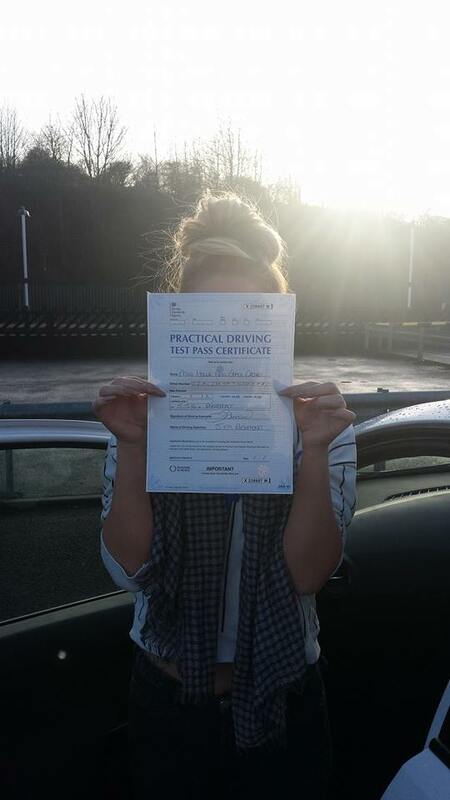 Really well done Hollie – you’re an excellent driver and this is well deserved! Would recommend you to anyone!! Made me feel so at ease and was like driving with my friend next to me. Helped my confidence loads and really can’t thank you enough!!!!! 05.12.14 – A week of passes! It’s been a great week for Christie Lee Driving with 3 pupils passing their driving test! Congratulations to Zander Zander, Faye Campbell and Isaac Wass who all passed their driving tests in York. 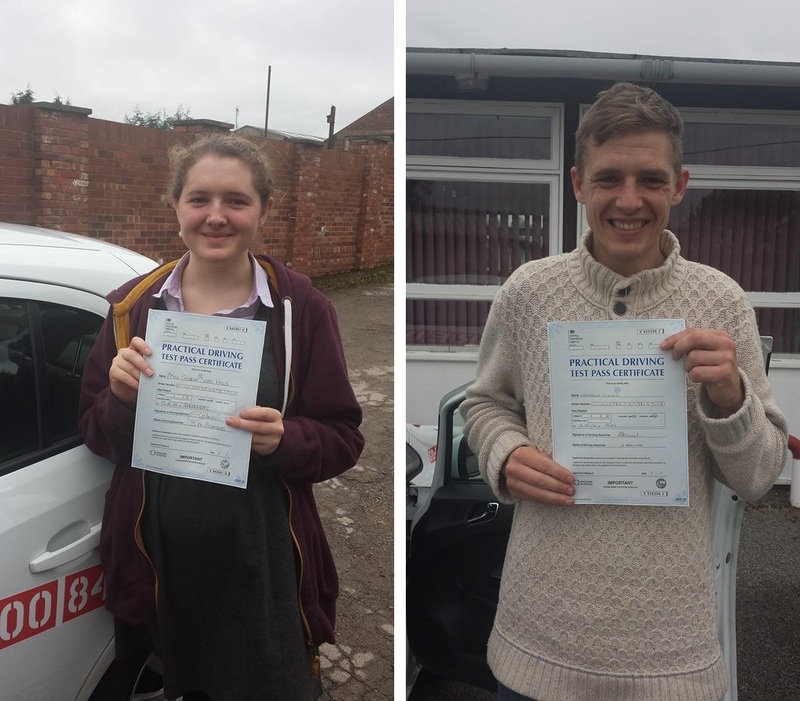 After failing tests with other driving instructors, both Faye and Zander came to me and passed on their first attempt. 24.11.14 – Free Theory Test help for all pupils! Well done to Rhianne, Carlie, Karen and Karina who all passed their theory tests this month with the help of Christie Lee Driving. All pupils who learn with us get free theory test help with Theory Test Pro. To find out more click here. 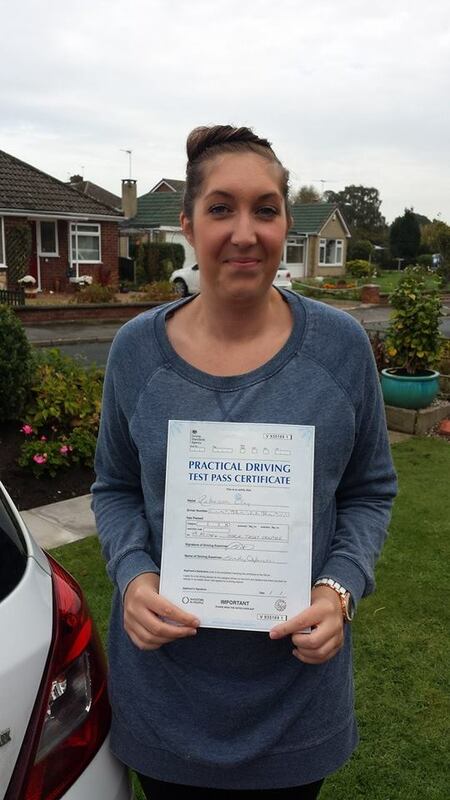 Congratulations to Valentina Lucijanova who passed her test in Pontefract with 7 minor driving faults. Really well done Valentina! You’re an excellent driver and deserved this pass! 18.10.14 – A great week! Congratulations to Matthew Clough and Georgia Hills who both passed their driving tests first time with Christie Lee Driving this week! 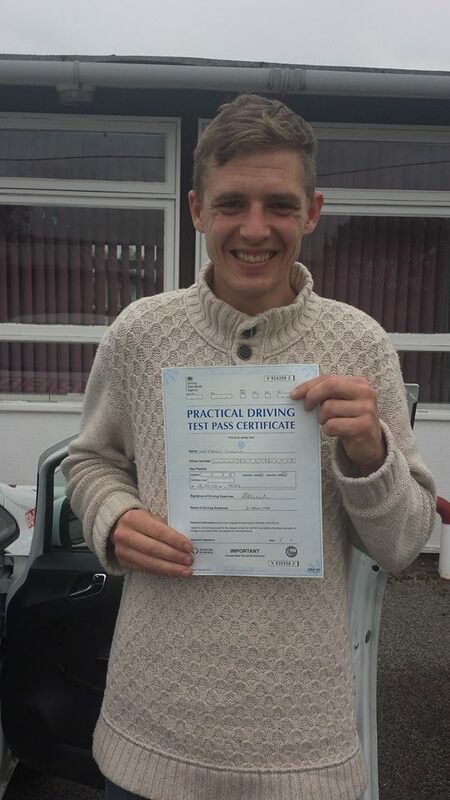 Matthew took his test on Monday 13th October in York and passed with just 1 driving fault!! His result is a credit to his driving and well deserved. 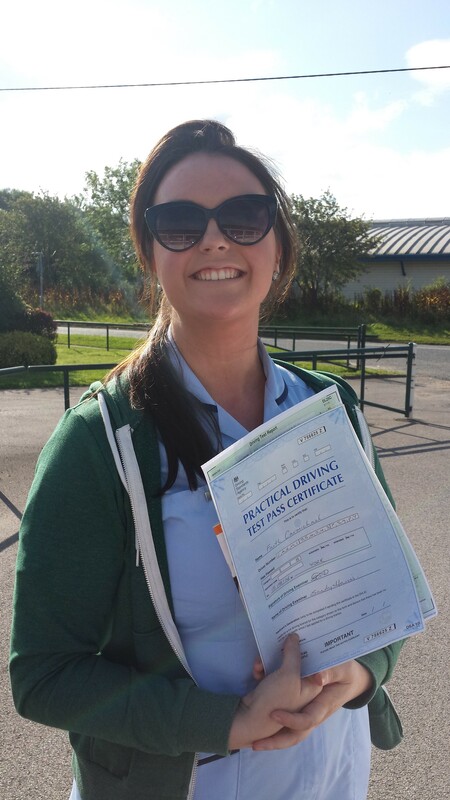 Georgia also passed first time in on Wednesday 15th October at Pontefract test centre. Georgia had a great drive and came away with 5 driving faults. Congratulations to you both! Looking forward to seeing you on the road! Thanks for you kind words Becki and well done again! Congratulations to Jordan Edwards who passed his test first time with Christie Lee Driving today. 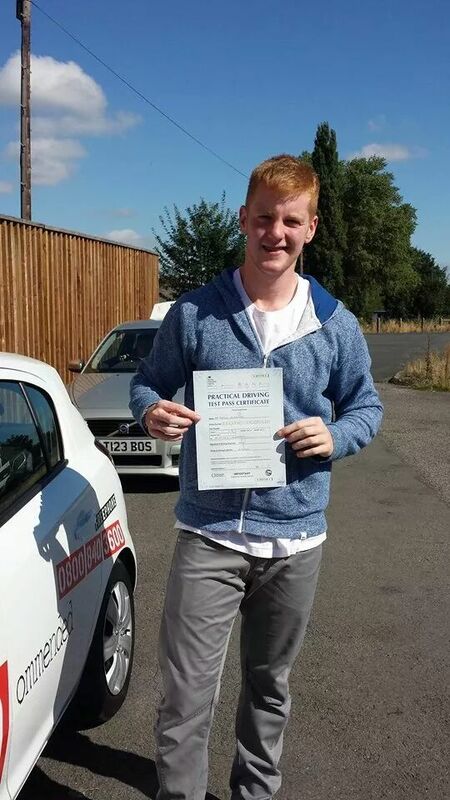 Jordan passed with just 3 minors and had an excellent drive! A well deserved pass. Well done Jordan and enjoy driving.